Barclays, the Global financial firm, has chosen Glasgow as the site of its state-of-the-art workplace for the bank’s functions, technology and operations teams. It has been announced that the banking powerhouse is set to open an incredible new office space that fully embraces cutting-edge technology and design. This world-class working environment will help the bank deliver outstanding services to customers and clients by fostering innovation and collaboration. Barclays operates in 40 countries and have a small number of key sites around the world. The new Scottish campus will play a “pivotal role” in the company’s long-term strategic priorities. 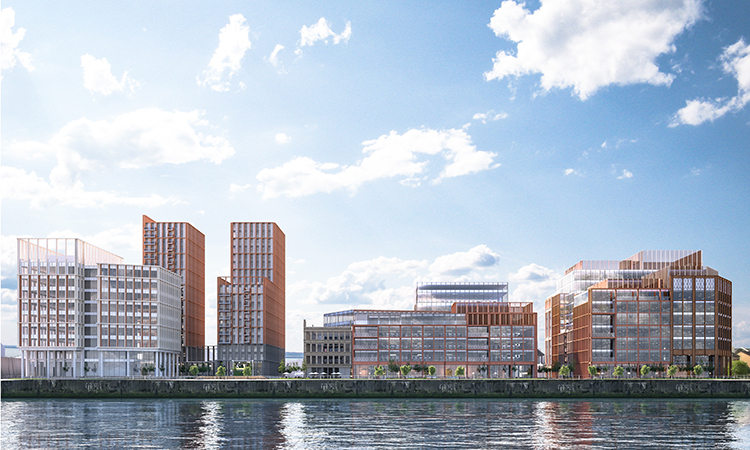 The news that Barclays is to create a new state-of-the-art campus in Glasgow is music to the ears of Scotland’s thriving financial sector, the largest in the UK after London, which manages £800 billion in assets funds. The company’s new investment in Glasgow will see a world-class working environment created for the bank’s functions, technology and operations teams. Once completed, the campus will be able to accommodate up to 2,500 additional roles, doubling Barclays’ current workforce in Scotland and making the bank one of Glasgow’s biggest commercial employers. As well as this, Barclays have also made a commitment to ensure that a portion of these new jobs will be made specially available to people who often face barriers into the workplace, including those with disabilities and young people. This is also a massive vote of confidence to Scotland’s highly-skilled workforce and infrastructure and sends a yet another strong signal to other global companies that Scotland is an incredibly attractive destination to grow businesses. Barclays' expansion follows in the footsteps of many companies already growing in Scotland, which either have headquarters or satellite offices here, such as HSBC, Morgan Stanley, Lloyds and JP Morgan - and organisations such as RBS, Standard Life Aberdeen and Prudential. With over 600 financial and business service companies in Scotland, many global institutions consider it a vital and strategic location for innovation and growth because of its exceptional skills, business infrastructure, low-cost base and global business network.